The Hogg Foundation for Mental Health is welcoming letters of interest for community-based projects that tackle mental health disparities in rural Texas. People in Texas experience more mental health challenges because of conditions in their communities, the foundation said in a press release calling for proposals. In a policy paper from 2016, the foundation pointed to the shortage of mental health professionals and mental health training for primary care doctors, which is exacerbated by the state’s rural expanse, as one dynamic fueling Texans’ need. The foundation has looked to bolster the mental health workforce, but that is not the focus of these grants. This set of grants looks further upstream into communities for the conditions that contribute to poor mental health down the line. Grantees must build community collaboratives that engage marginalized groups and a diverse set of stakeholders. The grants will address conditions that contribute to mental health disparities. This is an idea we’ve written about a lot at IP—looking upstream at social and environmental factors that affect health—but rarely in the context of mental health. Part of this is because there’s not a lot of big philanthropic work going on around mental health. Though there are encouraging signs that this may be changing, as we’ve been reporting, mental health remains a badly underfunded field. The Hogg Foundation is a major exception to that rule, though. The foundation’s founder Ima Hogg had a lifelong interest in mental health, which has carried through in the funder’s giving since its start in 1940. The foundation started by offering mental health screenings to men enlisting to serve in World War II. When veterans returned, the foundation provided mental health support services decades before our modern understanding of PTSD. More recently, the foundation put up $1.9 million to promote mental health of kids and teenagers through prevention and early intervention. Like the new round of grants, five totaling up to $5 million are up for grabs; the 2017 gift focused on intervening before mental illnesses take hold. This preventive approach is part of the foundation’s recent strategic shift from from mental illness to mental health. For the last decade, the foundation focused its efforts on treating mental illness and proving patients can and do recover to lead full lives. The work will shift to nurturing communities that support mental health and wellness. Research suggests the foundation may be on the right track in adapting funders’ upstream public health approach to mental health work. The National Conference of State Legislatures reported differences in outcomes and access to mental health and substance abuse services determined by social, ethnic and economic status. Racial and ethnic minorities, in particular, have worse mental health and a harder time accessing care. The World Health Organization also found that poor mental health was more common in women, people living in poverty, and those who reported weak social support. Disparities were visible in children and teenagers. The report reasoned that low-income children were more likely to be exposed to stressors that could exacerbate mental health issues, but less likely to have access to support systems needed to combat them. Disadvantages add up over a lifetime, pointing to a need for intervention at all life stages, the report said. Interventions, like forming a strong bond with an adult, did a lot to counteract disadvantages tied to socioeconomic levels. By going into communities, the Hogg Foundation hopes to reverse those trends. 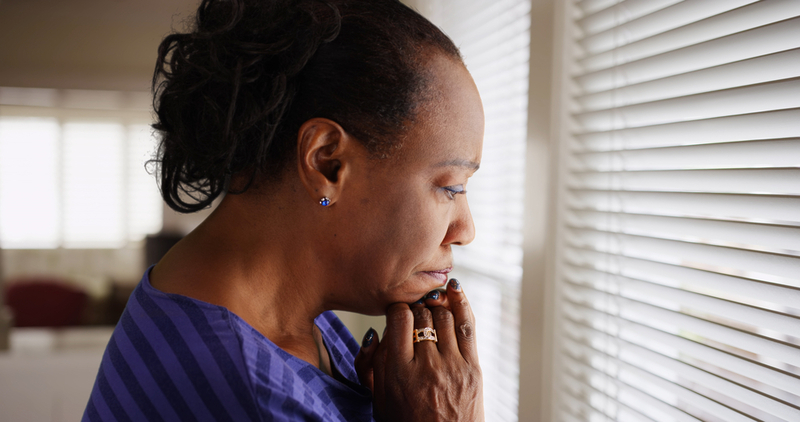 Access to mental health services and care are important, but seemingly unrelated factors like housing stability, neighborhood infrastructure, and conditions at home, work and school can also lead to poor mental health outcomes. If those factors sound familiar, it’s because they have a lot in common with the conditions public health funders focus on when they look upstream. In fact, as big public health funders look upstream and the link between mental and physical health becomes clearer, many of their projects look like initiatives the Hogg Foundation has funded for years. For one, the Robert Wood Johnson Foundation, a heavy-hitting public health funder leading the charge upstream, is investing big in the link between childhood trauma and adult illnesses. The foundation also recently put up $2.5 million for projects that tackle social isolation, which is increasingly linked to early death. Big funders have overlooked mental health for a long time. The growing similarities between traditional public health foundations and the Hogg Foundation is a promising sign that things may be starting to change.